Give my kids a container full of fruits and veggies to eat, the container does not always come home empty. Give them a glass of juice to drink, and its consumed in seconds. Depending on what you juice, you can fulfill the recommended daily value of vitamins, calcium, potassium, protein and fiber in one glass! You can also throw things in that they normally would not eat. 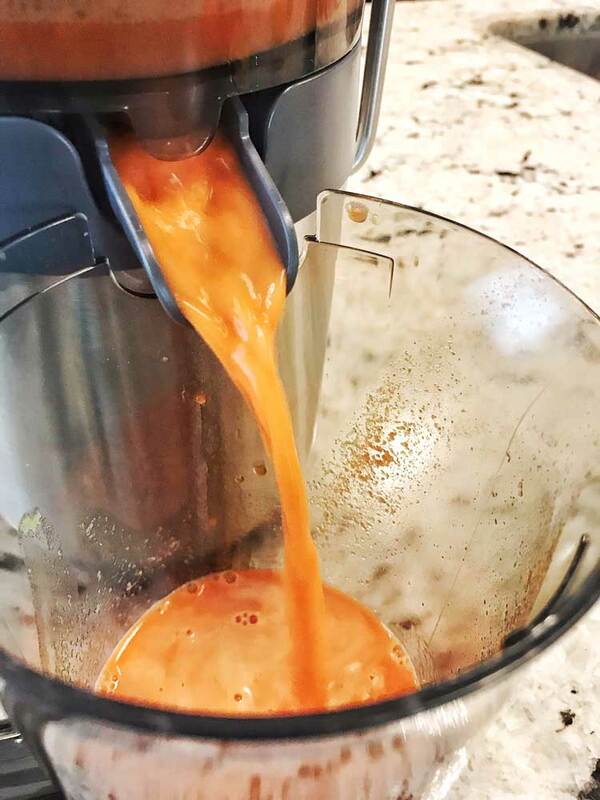 The Hamilton Beach juicer has some great features. There is an extra wide chute meaning less chopping of fruits and veggies. It fits a whole apple! There is an extra-large pulp bin so you don’t need to stop half way through juicing to empty the bin. Make clean up even easier by lining the bin with a compost bag. I loved that it has a drip-free spout and both a high and low speed dial. 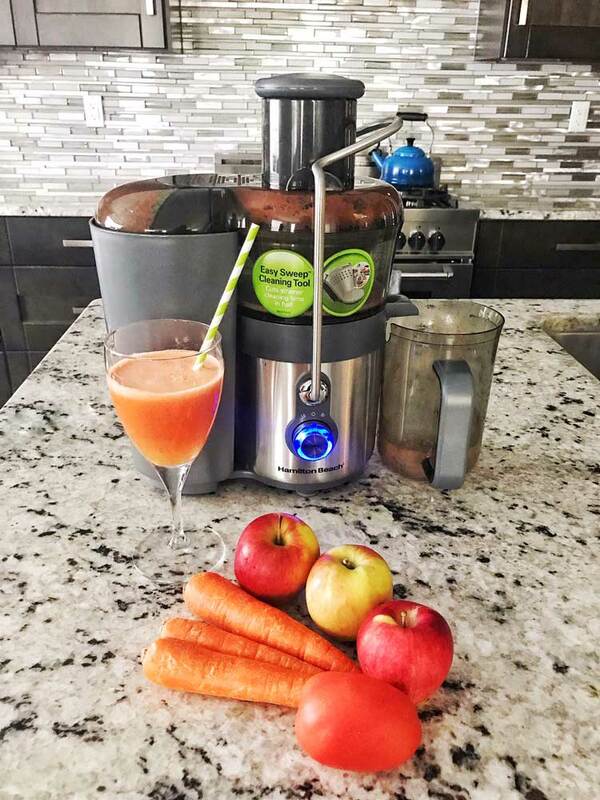 The juicer is easy to assemble and easy to clean which is a huge benefit. It’s so easy to get deterred when clean up takes so much time but that’s definitely not the case here. The plastic parts are even dishwasher safe! It also comes with a cleaning brush which helps in cleaning the strainer basket. When I was younger, we had to drink carrot juice everyday. Drinking a juice made of only carrots had a really bad after-taste, almost bitter. I hated it and did not appreciate all the work that went into making the juice. Determined to make a version that my kids enjoyed, I played with a few different combinations. 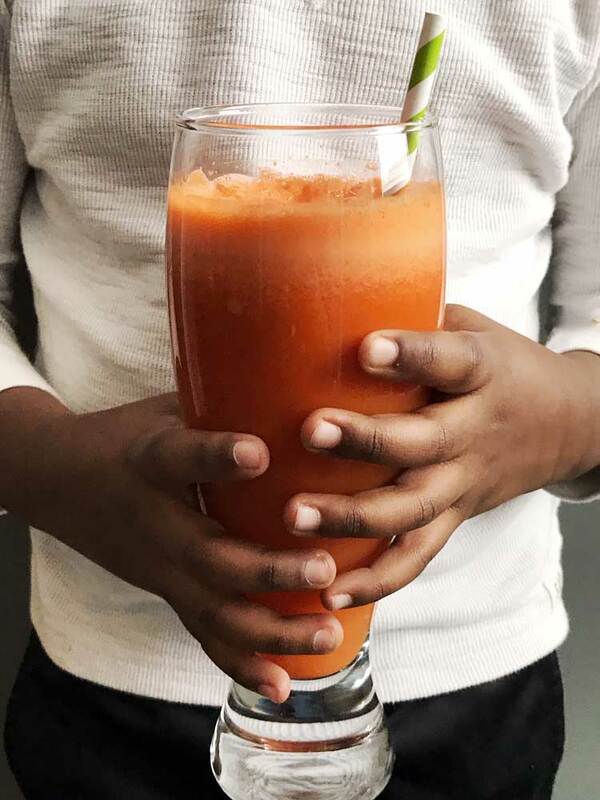 I actually made a carrot juice that I loved! 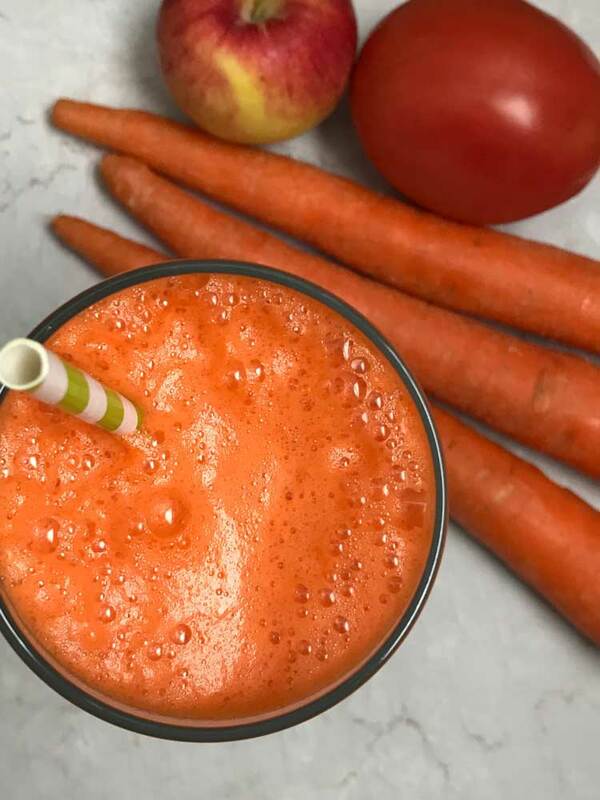 Carrots are key but to add to the sweetness, I added apple and tomato. It definitely took that gross edge off. If you prefer a kick, you can add a piece of fresh ginger. I made this a few times to ensure that it was loved by all. It is a hit for all. Just throw the ingredients in the juicer and enjoy.